"The Adventures of Buckaroo Banzai Across the Eighth Dimension"
"Dan Hicks and His Hot Licks"
"The Heiress and Her Chateau  Carolands of California"
"Lara Croft, Tomb Raider: The Cradle of Life"
"Legally Blonde: Red, White and Blonde"
"Star Wars: Episode 1  The Phantom Menace"
"Terminator 3: The Rise of the Machines"
An amicus curiae script posits a way that Glenn Rhee could be brought back to the show, honor and fans satisfied. Read it. 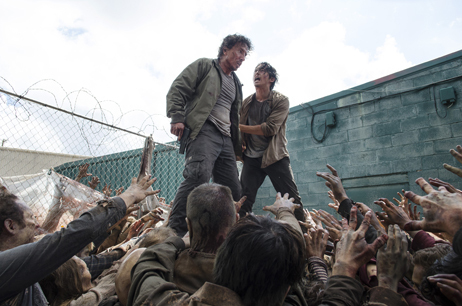 Michael Traynor as Nicholas, left, and Steven Yeun as Glenn Rhee in Episode 3 of Season 6 of "The Walking Dead." "The Walking Dead" may have wandered into Dumbass Land on October 25, 2015, with Episode 3 of Season 6, when Glenn Rhee, played by Steven Yeun, may have been eaten by walkers. If so, says John Orr, it would be a big mistake. The show needs Glenn, and certain other characters. Read on. 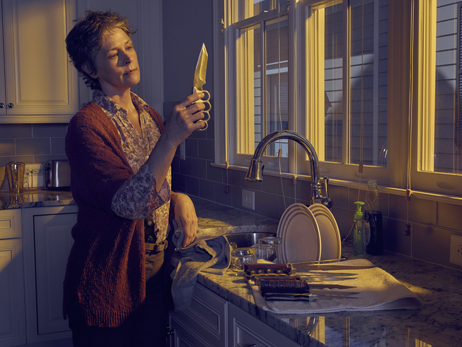 Melissa McBride as Carol Peletier in gallery art for Season 6 of "The Walking Dead." Melissa McBride is so great at Carol Peletier, and so beloved by fans, that she's kinda got to be guaranteed to last with the show as long as it exists. Or so thinks John Orr, who got to talk with McBride by phone a couple of times in September. He didn't ask much about Season 6, which starts on Sunday, October 11, 2015, because he knew she wouldn't say much anyway, and because he prefers to find out as it unfolds over the season. Instead, he gets to sing her praises and hear her thoughts about Carol. Read on. 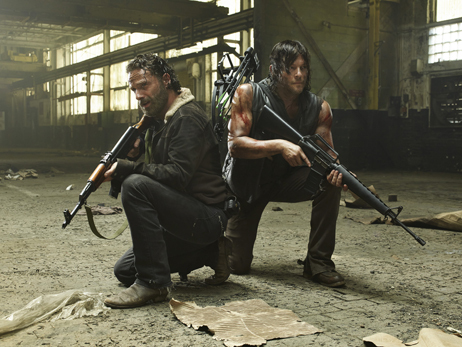 Andrew Lincoln as Rick Grimes, left, and Norman Reedus as Daryl Dixon, in a scene from Season 5 of "The Walking Dead." "The Walking Dead" begins Season 5 tonight, and we'll be watching. Why do we like this gore fest? It has something to do with excellent writing, acting and direction. Read what John Orr has to say about it. 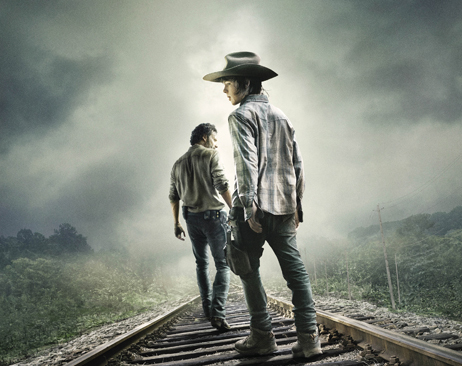 Andrew Lincoln as Rick Grimes and Chandler Riggs as Carl Grimes in the key art for Season 4B of "The Walking Dead." "The Walking Dead" is a favorite show. It's smart, involving, thrilling stuff, and we are so pissed off that it takes a break every winter. We complain about that, and find an explantion we don't find satisfying. Read what John Orr has to say about it. First Step of 12 Dept. Don't let the smile fool you, kiddies! 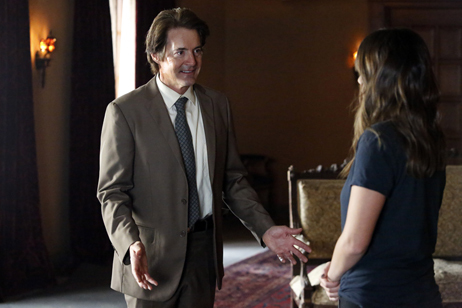 The character Kyle MacLachlan, left, plays on "Marvel's Agents of S.H.I.E.L.D." is crazy on a stick, full-blown sociopathic psychosis and then some. Great performance by MacLachlan. That's Chloe Bennet as Skye he is imploring. Bennet is a series regular, MacLachlan is not, but he's so great in the role that we just had to mention him. "Marvel's Agents of S.H.I.E.L.D." is terrific fun, despite our initial rejection of this show, which brought Agent Phil Coulson back to life after he was killed in "The Avengers." Now, our founder, John Orr, stands before us, cup of coffee in hand, and proclaims, "My name is John. I am a fan of Marvel's Agents of S.H.I.E.L.D.'" Read John's column, then send him money. 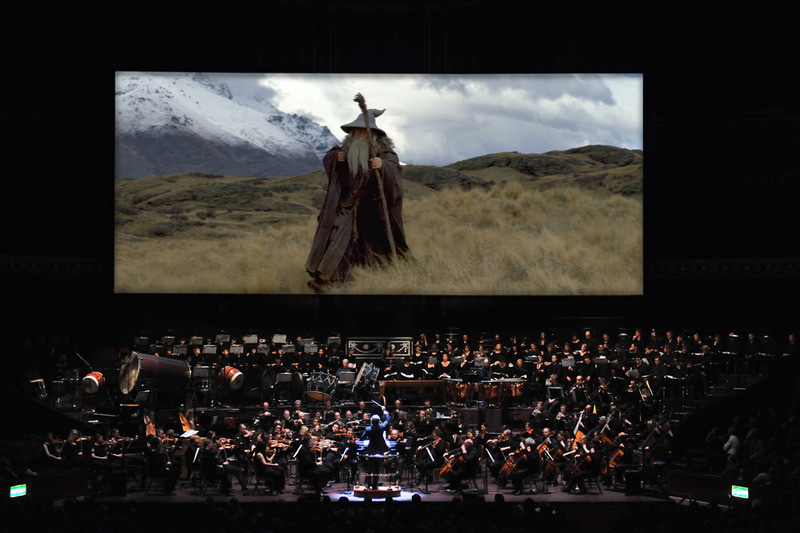 Maestro Ludwig Wicki conducts the 21st Century Symphony Orchestra in Lucerne, Switzerland, during a performance of “The Lord of the Rings” trilogy. Symphony San Jose will perform the Trilogy April 16-19, one of only two North American performances, the other slated for Lincoln Center in New York. Call 408-286-2600, extension 23; or visit www.lotrssv.org A sale date for single-screening tickets will be announced later. 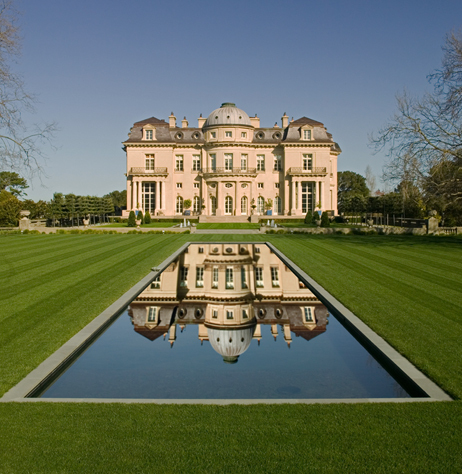 "The Heiress and Her Chateau  Carolands of California" debuts on KQED on January 19, 2013. "The Heiress and Her Chateau  Carolands of California" is a documentary about a fabulous estate in Hillsborough, California, where the big money settled in the 1800s and early 20th Century. It debuts on KQED Channel 9 tonight. Tony Lacy-Thompson took a tour of the fabulous place, and writes about it. Read his story. Live! On a TV Near You! Dept. The Golden Globes Awards gave us an opportunity to talk about why we like the show. Check it out. A Deal We Can't Refuse Dept. 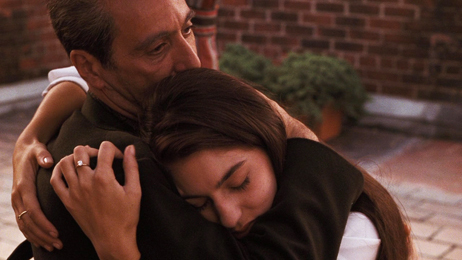 Al Pacino and Sofia Coppola in "The Godfather: Part III." "The Godfather: Part III" isn't as good as parts one and two, we'll grant you, but what films are? On its own, Part III is actually a pretty OK movie. Read Carlos deVillalVilla's thoughts on the matter. An E-Ticket movie from Disney? 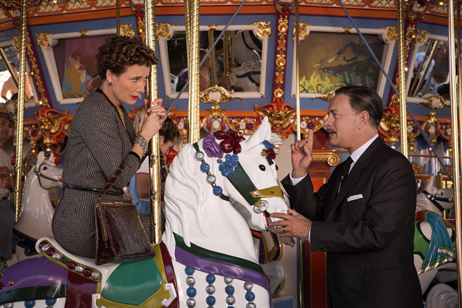 "Saving Mr. Banks" is Disney Studios' version of how Walt Disney talked the author P.L. Travers into letting his studio make the movie "Mary Poppins." It was not an easy negotiation. Read Carlos deVillalvilla's review. 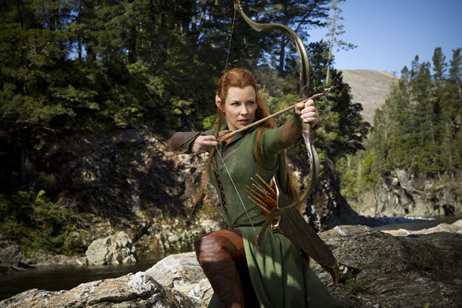 Evangeline Lilly as Tauriel in "The Hobbit: The Desolation of Smaug." "The Hobbit: The Desolation of Smaug" is the second in Peter Jackson's trilogy based on J.R.R. Tolkien's not very long novel. Jackson added a female character, Tauriel, which is OK with us. Read the review by Carlos deVillalvilla. Caught it on Netflix Dept. Al Pacino, Christopher Walken, Katheryn Winnick and Alan Arkin in "Stand Up Guys." "Stand Up Guys" is a gem of a gritty crime comedy that really shines because of the performances of Al Pacino and Christopher Walken. Alan Arkin is fun to watch, too, and there are other good performances, but Pacino and Walken make this one special. Read John Orr's review. Bing Crosby, Marjorie Reynolds, Fred Astaire and Virginia Dale, from left, in a publicity still from the classic 1942 film, "Holiday Inn." "Holiday Inn" is a gem from a very different time. In 1942, when it was released, it did things that wouldn't be allowed today. 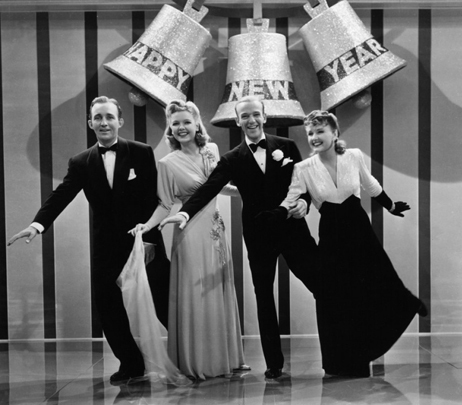 But it also had a bunch of truly great Irving Berlin songs, masterful crooning from Bing Crosby and fabulous dancing from Fred Astaire, Marjorie Reynolds and Virginia Dale. Read Carlos deVillalvilla's review. 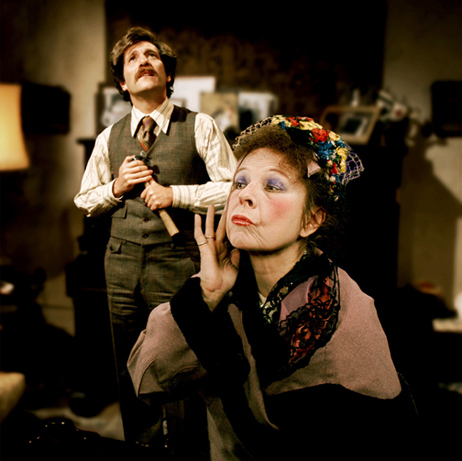 Ruth Gordon, foreground, and George Segal in "Where's Poppa?" "Where's Poppa?" is one of the funniest comedies ever made, a black-humor masterpiece directed by Carl Reiner and starring the brilliant Ruth Gordon and George Segal at his best. John Orr reviewed it when the DVD came out, some years ago. Read the review. 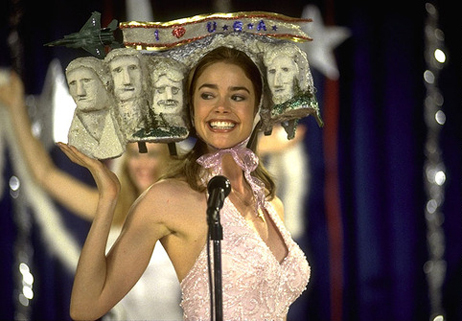 Copyright 1999 New Line Cinema Productions, Inc.
Denise Richards as a beauty contest entrant in "Drop Dead Gorgeous." "Drop Dead Gorgeous" succeeds as a comedy because it is loaded with hilarious, surprising jokes. Sure, it makes in-the-face comments about beauty contests, but has a lot to say about many other facets of middle-class life. Read the review. Elijah Wood in "The Lord of the Rings: The Fellowship of the Ring." "The Lord of the Rings" trilogy impressed us quite a bit. Hats off to Peter Jackson! We put together reviews of the three films and a bunch of other information about them. Check it out. 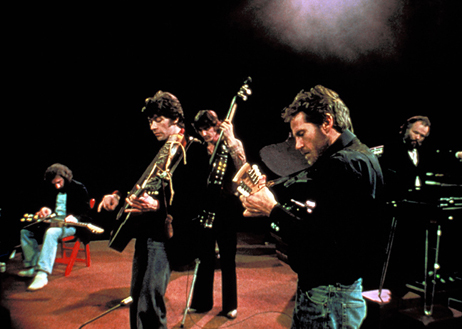 Richard Manuel, Robbie Robertson, Rick Danko, Levon Helm and Garth Hudson, from left, in "The Last Waltz." "The Last Waltz" is an amazing film. Some of the greatest pop musicians of all time, including The Band, Bob Dylan, Eric Clapton, Neil Young, Joni Mitchell and lots of others; one of the greatest filmmakers of all time, Martin Scorsese; an army of great cinematographers; and a great venue. What a concert. What a film. Read the review. Also, read an interview with Garth Hudson, the keyboards genius of The Band, who was there. 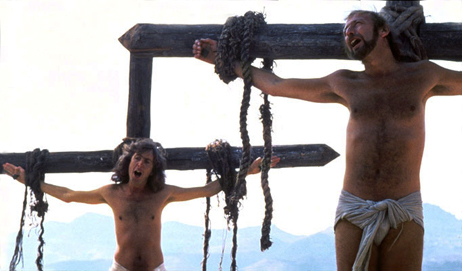 Eric Idle, left, and Graham Chapman sing "Always Look on the Bright Side of Life," which Idle wrote, in Life of Brian." Eric Idle is one of the brilliantly funny members of the great comedy troupe Monty Python. Several years ago he was in San Francisco to thump tubs for a live show he was doing, and we took the opportunity to thank him for writing the song "Always Look on the Bright Side of Life." Read the interview. 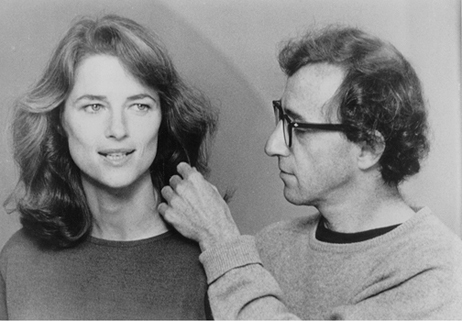 Charlotte Rampling and Woody Allen in "Stardust Memories." 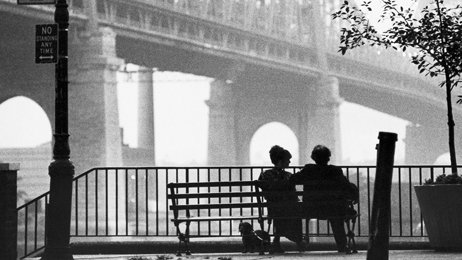 "Stardust Memories" is one of Woody Allen's finest films, a movie that pushes the envelope on what works in the cinema and shares some mature observation with some strong jokes. John Orr took a look at the DVD when it was released, years ago. Read the review. Diane Keaton, left and Woody Allen in "Manhattan." Woody Allen is one of the greatest directors and screenwriters. Several years ago we put together a little sampler of some of his movies. Included on this page is "Watching Woody," an essay to counter what some people were saying about the filmmaker at the time. Read the stories. Ellen Barkin as Penny Priddy and John Lithgow as Lord John Whorfin in "The Adventures of Buckaroo Banzai Across the Eight Dimension"
"The Adventures of Buckaroo Banzai Across the Eighth Dimension" is one of the coolest, drollest action adventures ever made. Back in 2002, when it finally came out on DVD, we got to talk with its director, W.D. Richter, and with actor Clancy Brown (who told us we should watch a little thing called "SpongeBob SquarePants," and wow, are we glad we took his advice. Read what they had to say.